Seniors with The Arc stay healthy and engaged in community life with a full program of social, recreational and educational activities for clients 45 years of age or older so that they can maintain their independence and enjoy a better quality of life through healthy living and ongoing opportunities to learn and grow with their peers and with friends in the community. In addition to on-site classes and activities at The Arc, seniors participate at other culturally diverse senior centers and park/recreational facilities throughout San Francisco, enjoying many opportunities to stay connected and active. Many of The Arc’s seniors face the challenges of chronic illness, reduced mobility, special dietary needs and other health issues. The Senior Services staff nurse visits monitors the health of senior clients and keeps caregivers and family members up-to-date on health conditions. Many of The Arc’s seniors are enrolled in our Health & Wellness Services where advocates assist clients in achieving optimal health. Through ongoing monitoring, regular screenings, support at doctor appointments and nutritional education, clients get support to improve their health and improve their quality of life.  For more information about The Arc’s Senior Services, contact Haley Bogosian, Associate Director of Senior Services, hbogosian@thercsf.org, (415) 255-7200 x148.